Abstract human figure holding and blowing a horn. 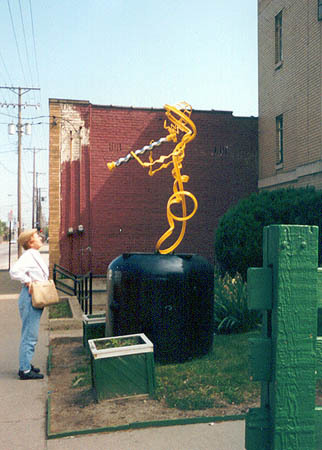 : “Miles Davis,” Ohio Outdoor Sculpture Inventory, accessed April 22, 2019, http://oosi.sculpturecenter.org/items/show/1032. On lawn in front of office building, two feet from sidewalk.